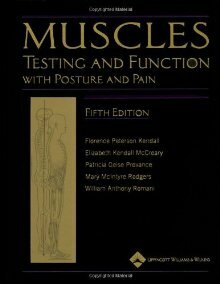 This renowned classic provides unparalleled coverage of manual muscle testing, plus evaluation and treatment of faulty and painful postural conditions. The thoroughly updated Fifth Edition is completely reorganized and has new, expanded treatment and exercise sections in each chapter. Other features include a new section on post-polio syndrome, additional case studies comparing Guillain-Barre to polio muscle tests, a new full-color design, and a first-of-its-kind chart of upper extremity articulations.